Report proposing 'Gandaki' as name for Province 4 tabled at SA meet - Integration Through Media ....! POKHARA: A report prepared by a committee formed to recommend the name and capital of province 4 was tabled at the State Assembly meeting today. The report has in the first number suggested the ‘Gandaki’ for the name of province, covering 11 districts. 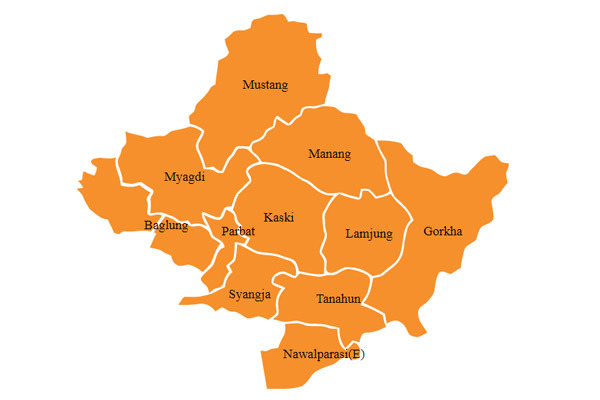 Tamuwan-Magart ( second number), Gorkha ( third number) and Dhawalagiri ( fourth number) have been also recommended as the official name for the province. The committee had submitted the report before the SA on June 4. The main opposition Nepali Congress (NC) had obstructed the SA meetings twice on June 9 and June 10, citing that discussions on the report recommendations were not held. The SA sought help of marshals to run the meeting third time to neutralize the NA protest.